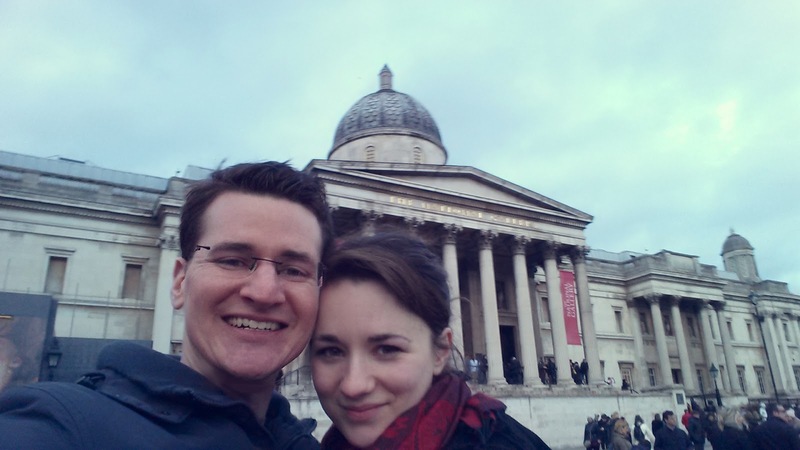 On Saturday, Jon and I made a day of attending the National Gallery. We made it through all the 18th and 19th century portraits and finally arrived at the Impressionists. We settled in, taking our time in front of Van Gogh's Chair. Suddenly, my husband extended his pointer finger out, making a itching motion, and (to my horror) said, "Wow, I could just reach and out and scratch the paint right off. I could have Van Gogh under my fingernails." I swatted his hand away and looked around for the guard, who was (fortunately) preoccupied with a shifty gaggle of middle schoolers. I breathed a sigh of relief, but not before shooting Jon a very dark look of disapproval. That being said, Jon had a very valid point-- most of the paintings were completely uncovered, exposed to every wheezing neanderthal that happen to walk by. It made our proximity to the art both terrifying and a little thrilling. In fact, I was taken aback by it. I realized I had never been so close to work that was that iconic and emotive. You can FEEL the aggression and the grace of the brush strokes. Everything is there. There is none of that laborious tedium you can sometimes read into commissioned portraits. These just felt raw and beautiful and uninhibited. After a moment or two, I realized I too was fighting back an impulse to touch it. Your eyes sort of roll over the swirls of color and settle in the textured grooves of paint. It's thick and glorious and to touch it would just be magical. I suddenly felt bad for the look I had just given to Jon. How do people resist the temptation to touch these masterpieces?! A throng of tourists insured that the spell was soon broken, but I still managed to gained an awe and reverence for the Impressionists that I've never had before. Seurat, Van Gogh, Monet, Caillebotte-- I tip my hat to your sirs! It has definitely been a pleasure. Alternate title: Van Gogh Away!